Use of methanol in school and outreach-related demos has been the subject of a lot of attention and discussion. While some of the articles that I have seen recommend what I would call appropriate precautions (see the CSB guidelines), many people have advocated elimination of these demos from our teaching repertoire. What I find even more troubling are the comments from teachers stating that, because of these incidents, they will never use alcohol flames in their teaching. I worry that that fear might be transferred to the students and will give further fuel to the chemophobia that is already so prevalent in our society. I am a synthetically trained graduate student who has been very involved in chemistry outreach programs for several years and who is going into education. I have presented at dozens of schools, doing demos that include clock reactions, the Tollens’ test, liquid N2, and electrochemical plating. I have also done the rainbow-flame demo over a hundred times. While I have seen the variants of this demo that use nichrome wire or wood splints instead of bulk methanolic solutions of the metal salts, I have never found another form of the demo that is as impressive for a classroom/assembly setting. However, if a simpler, potentially safer version of the demo would teach the same concepts, why am I strongly advocating for the methanolic version? It was the rainbow-flame test that first captured my imagination in a high school science class; not the concepts that Mr. Page was trying to teach but the visual display itself. As a grad student, I have received many thank-you notes with pictures of the flame test drawn on them. Part of the reason I am so attached to this demo is that it seems to captivate the students more than most other demos. We live in a world that is filled with special effects and CGI; the rainbow-flame test, for many young minds, takes Hollywood magic and strips away the curtain. It makes science cool and real at the same time. I don’t want every student to walk away saying that they will be a chemist when they grow up. I do want them to leave thinking that science is fun, interesting, and something that they want to know more about. As education becomes more sterilized and legislated, and where more science programs are moving towards “virtual chem” labs for cost and safety reasons, I am cautious about showing another YouTube video in class. When I move away from physical demos and experiments, I worry about two things: that students will go into the real world thinking that chemistry is too dangerous to actually handle or that chemistry is all special effects, with no real-world use or need. I agree that safety must come first. I am familiar with Calais Weber’s case and I feel that there is no reason for that sort of accident to happen again to anyone. We need to make sure that we, as educators, do not become complacent about the flammability of methanol, in the same way that complacency with alkyl lithium reagents is unacceptable for academics or industrial chemists. Part of the rainbow-flame demo should include an explanation about why we pour the methanol BEFORE lighting any of the solutions or why we use a small container of methanol and wait for the flame to go out before we refill anything. I always deliberately point out my gloves, lab coat and glasses, as well as reminding students to stay back while I am performing demos. I have seen several suggestions that the teachers need more training and I agree that science education majors should probably take a course on lab demos and technique. However, my wife taught high school chemistry for several years and I am familiar with the actual training that most education programs currently provide. A more realistic solution might be a blog, dedicated to curating a list of common demos, along with the practical and theoretical considerations for those demos. If this blog received sufficient circulation (perhaps with the blessing of the ACS, CSB, and/or some teaching organization), it would offer a much-needed update to the Shakhashiri series and could offer graduate-level guidance for educators who want to show their students everything that chemistry has to offer. CJ thanks VTJ for a thoughtful response on this issue. Irving, TX: ITW Polymers is looking for a B.S./M.S. polymer chemist with 3-7 years of experience, depending on degree. Sounds like there's some interaction with the production side. 70-100k offered. Bridgewater, NJ: Henkel is looking for a B.S. chemist to be a senior development chemist towards urethane adhesive technology. Rolla, MO: This buyer/material sourcing position (B.S./M.S. chemist desired) sounds interesting; I wonder how fun/annoying this sort of position is? A broader look: Monster, Careerbuilder, Indeed and USAjobs.gov show (respectively) 207, 922 , 2238 and 23 positions for the search term "chemist." LinkedIn shows 569 positions for the job title "chemist", with 83 for "analytical chemist", 5 for "organic chemist" and 2 for "medicinal chemist." Wilmington, DE: This DuPont Ph.D. synthetic carbohydrate chemistry position is pretty interesting. Cambridge, MA: Always nice to see a Novartis position for "experienced medicinal chemists" as well. Calls for safety reviews, PPE for participants, no bulk containers of MeOH near flames when smaller amounts will do. While I am now a premed student and have a better understanding of the dangers of methanol from a scientific perspective than I did at fifteen, I think the most valuable thing I can add to the discussion around lab safety is my perspective as a student. My chemistry teacher did not intend to injure me or others, just as other teachers who have made the same mistake would never intentionally hurt their students. But she did, and they have. It's easy to say that they were simply being careless and that a more careful teacher would not have made those same mistakes, but I think the real issue is lack of training and knowledge. My teacher was not only unaware of what would happen when she poured a gallon of methanol directly onto and near multiple open flames, but she had no idea how to handle the situation when several of her students were on fire - including her own son. It is my belief that until there exists a standard, mandatory protocol for training all science teachers, there is no reason for methanol to be used in classrooms. My education and love for chemistry was not fostered by seeing a demonstration in person, and it would not have been hindered by simply watching a video of it being performed in a controlled setting by trained chemists. All I hope for is to stop other children from being severely injured - I came very close to dying from my injuries, and my greatest fear is that, eventually, there will be a child that won't be as lucky as I was to have survived. Silver Spring, MD: WSSC is a municipal water utility; they're looking for a laboratory QA/QC position. 61-103k for a B.S., 5+ years experience. West Springfield, MA: Cyalume is, once again, looking for a senior chemist at its facility. High turnover? Ever wonder what an industrial entomologist position looks like? : Here's one -- why they're looking at C&EN Jobs is beyond me. Durham, NC: This Duke University "therapeutic bioengineering" professorship sounds fascinating. And across the way...: UNC - Chapel Hill is looking for a M.S./Ph.D. chemist for a lab coordinator position. Urbana, IL: UIUC Chemical and Biomedical Engineering seeking a professor at any rank. Huh: These "Jefferson Science Fellow" positions sound interesting -- wonder what this bit on the"... implementation of U.S. foreign policy" is about. For those of you following along at home, Retraction Watch has been covering the story of Wayne State professor Fazlul Sarkar. Thanks to anonymous commenters at PubPeer uncovering some obvious image manipulation issues, he's had a distinguished professor position at the University of Mississippi withdrawn. Because of this, he's subpoenaing PubPeer to make them give up the IP addresses of the commenters so that he can sue them. 69. After being rejected by Mississippi, upon settling in to resume his work at Wayne State, sometime in the first or second week of July, 2014, Dr. Sarkar was stunned to find that someone had widely distributed – in mailboxes throughout the Medical Center there - a screen shot from PubPeer showing the search results and disclosing the number of comments generated for each research article listed on the page. 71. Charles Grassley is a Senator from Iowa who is well known to have taken an interest in National Institute of Health matters, including research fraud. 72. The clear inference from this document is that Sen. Grassley was investigating Dr. Sarkar and that the PubPeer postings were evidence in that investigation. 73. In fact, that is completely false. This was verified by a WSU inquiry to the NIH’s Office of Research Integrity, and undersigned counsel’s own investigation with Sen. Grassley’s staff, which included discussions with three members of Sen. Grassley’s special counsel. 74. Distribution of this doctored and false document by Defendant(s) throughout Dr. Sarkar’s department was maliciously intended to embarrass him, harm him, and defame him. 75. It is highly probable, if not certain, that the same person(s) who did this despicable act is/are the same person(s) who posted on PubPeer and alleged making a complaint about Dr. Sarkar to Wayne State, and then learned of his employment with the University of Mississippi. 76. These Defendant(s) have but one aim: to bring down and destroy the career of Plaintiff by any means necessary, while hiding in the shadows of anonymity so that they themselves suffer no consequences. They deserve no protection of their identity from this court. Gotta say, if this (the distributing of the PubPeer posts in the mailboxes) is actually true, that's pretty cruel. SHEPARDSON: Right. The issue is the propellant in the airbags, the material that actually explodes the airbag into your face, you know, milliseconds after sensors detect a crash is about to happen or has happened, in some cases is damaged and as a result - and what investigators believe is that's mostly linked to high humidity areas where - so in other words, after being exposed to humidity, they're more likely to have defects and as a result rather than simply expand, send this shrapnel into passengers in the vehicles. GREENE: So this is not part of the actual bag itself? This is like, a piece of the thing that makes the bag explode actually exploding itself and spraying shrapnel at people. SHEPARDSON: That's right. And also metal parts of the airbag around it. So no it's - you can imagine, it's a very violent incident and it's resulted in serious injuries, as well. I mean, people having - losing eyes or serious lacerations, other cuts. So it's not anything to not take seriously, for sure. So sodium azide is the propellant for air bags, right? So I have a theory that the humidity problems is letting water into the azide compartment and making hydrazoic acid... which is quite explosive/shock sensitive. Readers, what do you think? We recently conducted a synthesis of azidotrimethylsilane (TMS-N3) that resulted in an explosion, significant damage to the reaction hood, and injuries to a student researcher. Although it is still not entirely clear what caused the explosion, it seems likely that the reaction and isolation conditions generated hydrazoic acid (HN3) that detonated within the reaction flask. We write to recommend extra precautions when conducting larger-scale syntheses of TMS-N3. TMS-N3 is commonly synthesized by reaction of chlorotrimethylsilane with sodium azide and isolated by direct distillation of the TMS-N3 product from the reaction solvent and insoluble NaCl by-product. We had previously followed the original procedure described by L. Birkofer and P. Wegner (Org. Synth. 1970, DOI:10.15227/orgsyn.050.0107) using dimethyl ethylene glycol solvent, as well as modified versions using other solvents such as di-n-butyl ether (Synthesis 1988, DOI: 10.1055/s-1988-27481). We were reproducing a previously reported synthesis (Bioorg. Med. Chem. Lett. 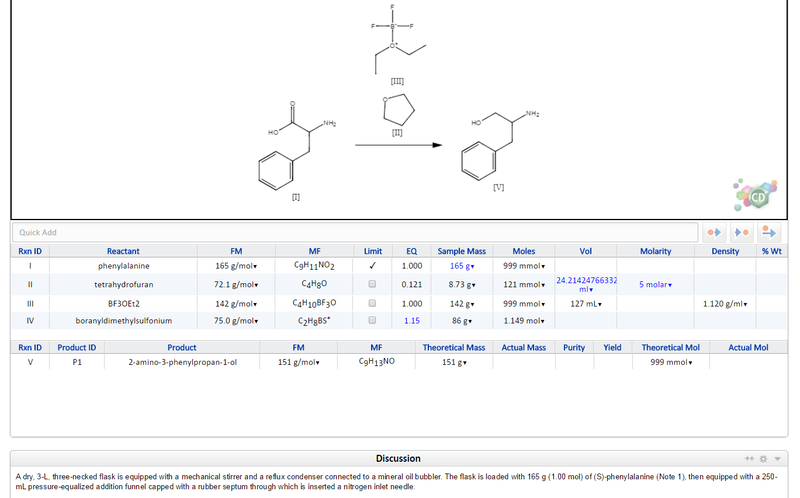 2013, DOI: 10.1016/j.bmcl.2013.10.004) using poly(ethylene glycol) (PEG, Mn = 300) as the reaction solvent and conducting the reaction at roughly twice the scale described in these previous reports (to generate ~200 g of product). The reaction mixture had incubated overnight and was being gradually heated in a distillation apparatus for the purpose of distilling the trimethylsilyl azide product. We observed that magnetic stirring had stopped and that the suspended salts had settled to the bottom of the reaction flask. When the student researcher reached into the hood in an attempt to adjust the distillation apparatus, the reaction mixture detonated. We do not know what caused the explosion, but there are many possible explanations. The explosion hazard of azide-containing compounds has been the subject of previous safety letters in C&EN and other publications, and many of these warn of the explosive hazard of hydrazoic acid that may be generated from proton sources. We used a newly opened bottle of PEG as the solvent, and although the supplier data indicated that the PEG was dry, PEG itself is protic and can lead to the formation of hydrazoic acid. It is also possible that unreacted azide salts that had settled to the bottom of the still were overheated to detonation when the stirrer failed. Given our accident, and the potential for hazard in the synthesis of TMS-N3, we encourage researchers to take special precautions in carrying out any large-scale preparation of TMS-N3 by any method. We recommend researchers follow these procedures: Reduce the scale of the synthesis so that any possible detonation can reasonably be contained; use mechanical stirring to ensure better heat transfer throughout the heterogeneous mixture; and test the apparatus, solvent, and reagents for moisture. We are extremely fortunate that the student has recovered from his injuries, but we are also convinced that those injuries could have been avoided if these practices had been followed in our lab. This incident was discussed within the American Chemical Society Division of Chemical Health & Safety shortly after it happened. Although I am disappointed that Taton and Partlo have not identified the direct cause of the explosion, I concur that the generation of HN3 is a likely culprit. “Bretherick’s Handbook of Reactive Chemical Hazards,” entry 1310, discusses the potential of this chemical to detonate and other possible mechanisms. The authors should add the CAS Registry Number to the chemical name (4648-54-8). If they are not planning a full published incident report, in the Journal of Chemical Health & Safety, for example, then they should discuss the underlying causes. India’s pharmaceutical industry sees related problems with regulators who take process-oriented, rather than risk-based, approaches in their oversight. “Process is important to ensuring the quality of medicines, but there are some processes where infringement, even if it has taken place, does not impact the end product in any manner,” Sudhanshu Pandey, joint secretary of India’s Ministry of Commerce & Industry, told C&EN. Pandey visited CPhI along with an entourage of Indian government, regulatory, and industry representatives. Much of the group’s energy went into defending the Indian drug industry’s reputation following a series of regulatory compliance issues that resulted in FDA bans of APIs and finished drugs from Indian facilities. “Undue criticisms” of the Indian industry are “scientifically unsupported,” Pandey said. FDA’s complaints center on documentation and data management violations that “had zero to do with any impact on the quality of medicines,” he asserted. In fact, though, FDA has cited missing or falsified data and inappropriate testing as well as lapses in quality at some firms. Regulators have “raised very valid questions about the processes and procedures,” Pandey admitted, but he and others attribute many of the problems to cultural differences and different interpretations of compliance requirements. To resolve the situation, the Indian government is undertaking its own regulatory reforms, adding people, and increasing training, he said. Pretty awesome story about snake venom research by Celia Henry Arnaud. Carmen Drahl writes on "Pumpkin Spice Flavor" - tasty! Carl Djerassi writes on the Pill, naturally. I recently sent an e-mail to Professor (and dean) Peter Dorhout, who is currently running for the ACS President-Elect position to see if he was interested in answering last year's questions for ACS presidential candidates. CJ: Which ACS program do you think best helps the job-seeking ACS member? How would you improve it? Prof. Dorhout: Over the past few years, the careers office of ACS has been retooling and refocusing itself after several years of input from the ACS Board and ACS committees. The new Career Navigator is version 1.0 of the career office web tool. They have added a virtual job fair as part of National Meetings for people who are not able to attend the meeting to participate in the job fair. They have added career consultants who are focused on helping chemists at various stages of their careers. Because this is new, I’m not aware that it has been assessed for quality and impact yet - that assessment will inform me and others about what improvements need to be made - feedback from members about the program will be vital. Nevertheless, everything we do in ACS needs assessment. CJ: Is it ACS policy to get more students to study in STEM fields, specifically chemistry? If so, how do we reconcile the fact that wages for chemists are stagnant or falling? Does this argue against the idea of a STEM shortage and the need for more STEM students? Prof. Dorhout: No, it is not ACS Policy to get more students to study chemistry. It is Policy to promote a general awareness of STEM and chemistry and to support and diversify the chemical enterprise - the practitioners of chemistry and chemical education. Two recent ACS presidential reports on graduate education raise a similar question as you have - do we need to continue to grow numbers? Since 1982, the number of chemistry PhD graduates has grown from 1,680 to 2,418 (44% increase) while biological/biomedical has increased by 120% and engineering by over 340% over the same time period (these data are from the Survey of Earned Doctorates published by NSF). The US Census Bureau report I blogged about illustrates that only about 25% of all STEM graduates (BS, MS, or PhD) work in “traditional" STEM jobs - this issue is bigger than just chemistry and chemists. The ACS Board, along with the new CEO, will need to wrestle with the concern you raise about wage stagnation, and Federal funding plans need to focus on the long-term impacts of infusions of resources on the health of the disciplines. Industry needs to be a partner in educating the technical workforce. I do not believe that promoting STEM to create more chemists will benefit anyone until we evaluate and understand the long-term needs in the profession. CJ: Each ACS president candidate, for at least the past decade, knows the challenging job market facing ACS members and inevitably speaks of "growing jobs" in the US. Specifically, what tangible steps would you take to increase the number of chemistry jobs in the US, and is this something you think is really achievable? Prof. Dorhout: In my campaign statements, I have not said “grow jobs” but rather stated that as a Society, ACS has the means and talent to promote and advocate for an environment that supports jobs in the chemical sciences. However, those jobs may not be in the same areas as before the Recession. What comprises the category “chemistry jobs” has been changing at all levels, from the BS chemist to the PhD lab director position. 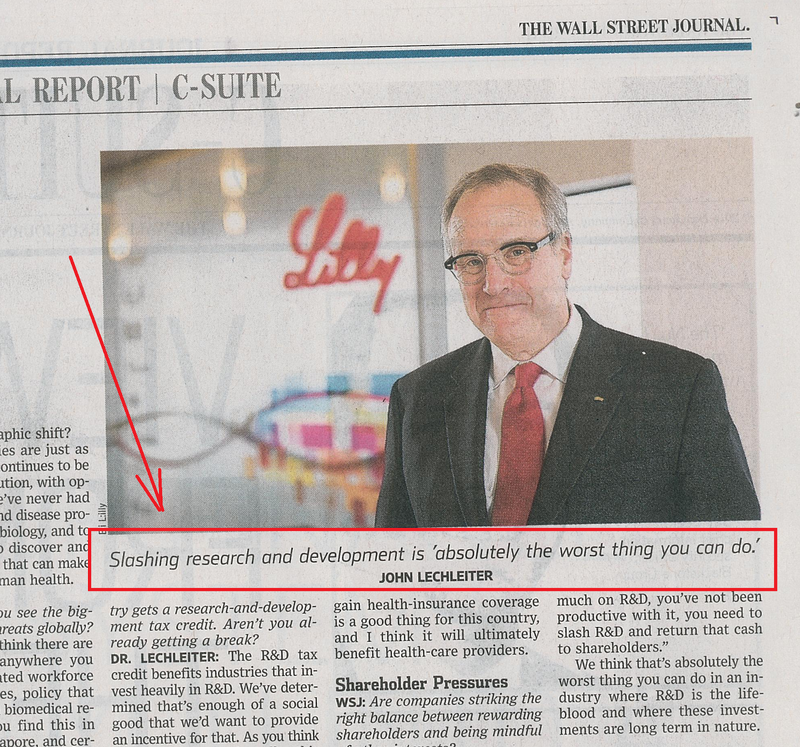 This is true for most jobs I’ve seen across the disciplines. Educators need to embrace that changing job description and review how we prepare our students for the global marketplace. That means we need to consider what industry tells us they need and develop educational programs that ensure a quality workforce and ensure that our graduates are ready to continue learning new skills over time to be flexible and versatile. I plan to have ACS partner with other science professional organizations like AAAS, APS, NAS, IEEE, among others and advocate together to Congress for an improved environment in this country that will support science jobs at home. ACS committees like the Committee on Professional Training and Corporation Associates need to come together to understand the needs of industry and the chemistry profession. Industry, whether large or small companies, should expect chemists trained deeply in the discipline but also able to work safely and ethically, to work with a diverse team, to communicate effectively, and to be adaptive to changing corporate environments. What we don’t need to do is create another office or Task Force in ACS - we need to be smart with our resources. CJ: How would you describe ACS' response to the Great Recession and the increase in unemployment amongst its members? How should ACS respond to similar situations in the future? Prof. Dorhout: It’s very easy to look back and say that since we haven’t recovered our pre-Recession unemployment level among chemists, ACS could have done more to help. It’s harder to state that ACS did or did not impact a lower unemployment rate than could have been realized had it not intervened - there is no way to prove this either way. There are a lot of moving parts in how ACS responded. I served on the Board during part of the Recession (2010-12), and we initiated the response from several different viewpoints - the health of the profession and the health of the organization. The impact of the Recession on over 160,000 members (and the many other chemical professionals who are not ACS members) was that we once enjoyed a 1.5% unemployment rate, which more than doubled to 4.2% during the Recession - and it hasn’t fully recovered yet. As a Board and as private citizens, we met with members of Congress and key committees to promote level funding (versus cuts) to agencies like NSF, NIH, and others, and we encouraged new ways of supporting industry in the US to promote job retention. Within ACS, the career services office retooled (see #1 above) and focused on ways to help members with additional resources, ACS created two new centers (International and Entrepreneur) to provide resources to members who were seeking alternative career paths or being more competitive for jobs in multinational organizations, and ACS waived membership dues for any unemployed member so they may continue to access services. Nevertheless, these initiatives were not panaceas for the Recession. They are new enough that we don’t know the impact they have had, but they were demonstrative of how ACS has been able to respond in a short time to what we heard as member needs. ACS cannot create jobs, but we can push hard on government and industry to improve the environment for businesses here at home, and we can retool some of the ACS programs to support chemists seeking jobs and alternative careers. I also propose that ACS (the President-Elect in particular) should hold a regular monthly web “town hall meeting” to hear from our members about their needs and about the ACS programs - are they properly aligned and are they effective. This will inform the Presidential succession and ACS Board about how we respond to changing economic environments in the future. This will be an important real-time feedback loop in the event we are confronted by the signs of another recession. Thanks to Professor Dorhout for his responses. Professor Lester will have his response published within 24 to 48 hours after it has been received. 2. Is it ACS policy to get more students to study in STEM fields, specifically chemistry? If so, how do we reconcile the fact that wages for chemists are stagnant or falling? Does this argue against the idea of a STEM shortage and the need for more STEM students? 3. Each ACS president candidate, for at least the past decade, knows the challenging job market facing ACS members and inevitably speaks of "growing jobs" in the US. Specifically, what tangible steps would you take to increase the number of chemistry jobs in the US, and is this something you think is really achievable? 4. How would you describe ACS' response to the Great Recession and the increase in unemployment amongst its members? How should ACS respond to similar situations in the future? Thank you for the opportunity! Again, please let me know if you have questions. A statement which answers your questions and more is inserted below. I hope this will explain my thoughts. The ACS provides assistance with resumes, cover letters for job applications, interview strategies, negotiation, etc. ACS members who believe they need improvement in these areas have those resources. However, I think the real problem is simply an imbalance between the number of chemists and the number of jobs for chemists in the US. 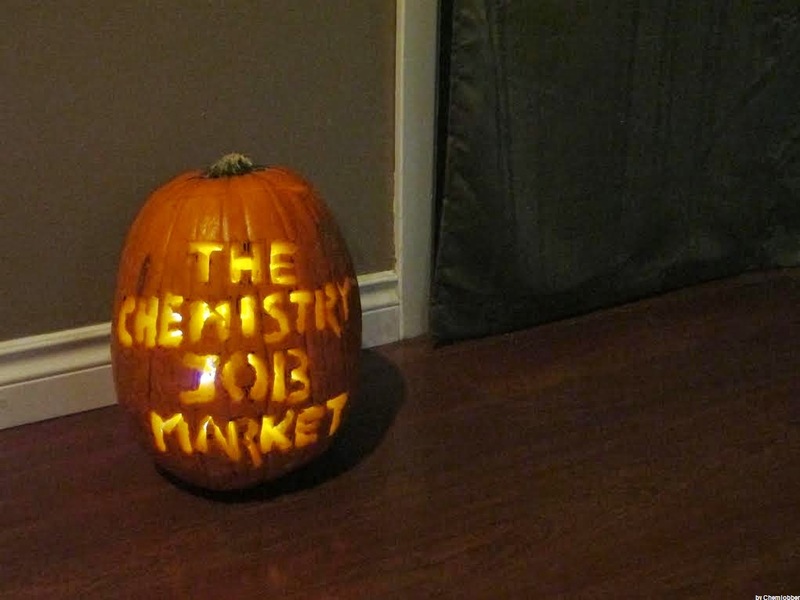 One can view this as too many chemists or as too few jobs. Acting based on the former perspective will require that the number of chemists be reduced. One way to do this is obviously to reduce the number of future students steered toward chemistry, but I would rather try other solutions before taking this possibly irreversible step. The ACS programs mentioned above can enhance job skills of existing chemists and train them for a wider variety of jobs. Acting on the latter perspective makes the question how to create more jobs in chemistry or how to reverse the job reduction trend. There may be no easy or quick solution for increasing chemistry jobs. However, a worthy approach is to bridge to the public in order to make science and scientists more popular. If the general public becomes more comfortable with us, it will be easier to converse with them and enable them to see our perspectives in scientific issues. If all ACS members practiced this, it would resolve many of the problems and barriers which plague us now. So how can we do this? Building bridges to the public must become an activity for all ACS members. It should not be reserved only for leaders or regarded as a special talent of only a few spokespeople. This is an activity which should be carried out routinely by all ACS members (and leaders) taking opportunities to speak to various groups which we already know. Examples are Rotary Clubs, Chambers of Commerce, PTA, churches, neighborhood cookouts, etc. We should each communicate what we do as scientists, our scientific ethics, our dedication to improving the world, etc. In short, we should all insure that the public knows the excellent people we are. Currently, it seems the US general public realizes that the high standard of living to which they are accustomed is brought to them courtesy of science and scientists. They enjoy the products, but they don't think about their source. By each of us simply telling the public about ourselves, they would come to know us better. It may be difficult for some scientists to take an initiative to discuss the fabulous things they bring the world, because scientists are typically modest. However, all 166,000+ of us must try to do this. Thanks to Professor Nelson for her responses. The other candidates will have their responses published within 24 to 48 hours after they have been received. Qualifications: PhD and 3+years of experience, MS & 10+ years of experience, or BS & 12+ years of experience. PhD preferred. Incumbent must has necessary theoretical and practical knowledge to do the job. Best wishes to those interested -- link here. Anyone know the answer to this question on SDS format? What do resellers or distributors of chemicals need to do, with respect to safety data sheets? Are there any rules (GHS or other) that say the SDS has to come from the company that physically made the solution? Do safety data sheets need to include the reseller/distributor's company information on the sheet, the actual manufacturer that makes the chemicals, and/or both? Answers accepted by e-mail or in the comments - thanks! ...These positions are only open to male applicants, this is due to the exposure of teratogenic drugs which women should not use. I believe this would be illegal in the US. The Johnson Controls case (women of fertile age working at a battery factory, barred from the production line) (oral argument here) has established that the employer could not do this. "Anyone touting new blue-collar jobs be willing to put $500 down on 10 year trajectory of manufacturing employment?" Rob Westervelt (the editor-in-chief of IHS Chemical Week) asked what the over/under for growth in the manufacturing super-sector was over the next ten years was, and I said (bravely/stupidly) "zero." He was willing to talk about a bet, so here we are. I asked for a reduction of stakes to $100, which Rob granted. Rob suggested that the stakes to a charity of the winner's choice. We're going to measure the "production and nonsupervisory employees" portion of the "chemical manufacturing" subsector, as measured by the Bureau of Labor Statistics. The baseline will be December 2013, with the bet ending in December 2022. If there are more production/nonsupervisory employees in December 2022 than there were in December 2013, Rob wins. If there are fewer, I win. Honestly, if Rob wins, we all do. No one wants to see chemical manufacturing employment go up more than I do. A former teacher is being charged in connection with an explosion at a Denver charter school that injured four students, one critically. Daniel Powell, 24, has been served with a summons charging him with four counts of third-degree assault, a class 1 misdemeanor, the Denver District Attorney said in a news release Wednesday. The charges allege that on Sept. 15, Powell was negligent when he poured methanol on a small fire during a demonstration in a high school science classroom at STRIVE Preparatory Schools SMART Academy. "As a chemistry teacher at a high school using those materials, his behavior was negligent," said Lynn Kimbrough, district attorney spokeswoman. Powell was served a summons on Friday. Because the charges are misdemeanors, he is free without bond. He is scheduled to appear in Denver County Court on Nov. 18. Powell was fired by the school earlier this month. Sometimes, I think that criminal prosecution is the form of policy making in this country with the least ROI, but it seems to generate movement overall. No one wants to go to jail or have a criminal record because of the lack of following best practices. But here we are. If anyone has a great idea about how to stop the rainbow demonstration (and the general use of fire + methanol around kids), I'm listening. Knowledge-hiding in the workplace is common and takes different forms, some more harmful than others, according to new research by Catherine E. Connelly, an associate business professor at McMaster University in Hamilton, Ontario, and David Zweig, an associate management professor at the University of Toronto, Scarborough. Theirs was not a study of inadvertent communication failures. (That’s a research topic in itself.) Rather, the professors examined the deliberate attempt “to withhold or conceal knowledge that has been requested by another member of the organization.” Based on surveys at a range of workplaces, they were able to trace a “continuum of deception” among knowledge hiders, Professor Zweig said in an interview. Further along on the spectrum, the researchers found that workers might withhold knowledge that a colleague legitimately needs by “playing dumb” — saying they will provide the information later and never following through — or by giving incorrect or incomplete information. would be used for the greater glory of the asker. would be used for the greater glory of the asker, without the giver being granted credit. would be used in the incorrect context and would politically damage the information giver. In other words, there is a lack of trust between the asker and the potential giver. Maybe I'm just super-cynical. I do like the authors' suggestion that organizations incentivize team goals, though -- I suspect that those are helpful when implemented correctly. Slim pickins: Not too many positions posted. Dhahran, Saudi Arabia: I see Saudi Aramco is hiring for a B.S. chemist position. Chicago, IL: Wheatland Tube is hiring a coatings engineer for steel. I love this line: " This position will report directly to the Corporate Coatings Director, and functionally to the Electrical, Fence, and Mechanical Tube Division Quality Assurance Director." This is a company that loves its titles, methinks. Cincinnati, OH: I didn't know there was such a thing as rheo-NMR (paging the Rheo Thing), but apparently Procter and Gamble needs a Ph.D. scientist in it. Something tells me that the qualified, relevant candidates for this sort of position could all fit inside a city bus. UPDATE: Nope, anon electrochemist says that it is relatively common. Who knew? A broader look: Monster, Careerbuilder, Indeed and USAjobs.gov show (respectively) 220, 932, 2,812 and 19 positions for the search term "chemist." (About an extra 200 positions for Careerbuilder -- interesting.) LinkedIn shows 609 results for the job title "chemist", with 80 for "analytical chemist", 5 for "organic chemist" and 1 for "medicinal chemist." I've never heard of a "chemistry engineer", Mr. President. Courtesy of Twitter user @cjt217, I see that the White House (or whichever junior deputy vice associate general special assistant to the President who wrote this letter) has invented a new term for "chemical engineers." Ah, well. A guest post by Chad Jones: "4 things you probably already know about grad school but really shouldn't ignore." CJ's note: Chad wrote this for the blog back when he was defending his dissertation -- he is now Dr. Jones and is working in industry. Soon I'll be defending my dissertation and finishing up my PhD. I also have several friends who are just beginning their graduate career. It’s been a very reflective time for me. I've thought about what advice I would give to those friends just starting grad school (I've also been wondering how helpful that advice would be - after all, I read plenty of advice articles and I'm pretty sure I ignored most of them). And so, I present my own list. This isn't a list of "4 things I wish I knew before grad school", this is "4 things you probably already know about grad school but really shouldn't ignore." Every piece of advice offered here is advice that I ignored. Some of them for my whole graduate career, others just long enough to regret it and wise up by the end. In both cases I thought I was the exception - the better grad student that didn't need that advice. I wasn't. My mistake: During my graduate career I had a hard time trying to learn what was important enough to write down. I didn't have a firm grasp on the literature yet, so it was hard for me to know which results were publishable and which results should be obvious to me. The result was unfortunate; I didn't write enough. I had been given advice to write your dissertation early, but didn't know what I was supposed to write. My advice: Write it all down. Don't wait until you think you have publishable data because publications aren't the only thing you'll need to write. Your dissertation will be a compilation of everything you've learned from your research. Some of those things will already be common knowledge in your field. By writing those things down, though, you'll be preparing excellent introductory chapters. Write something about everything you observe in the lab. Save every new NMR, mass spec, IR, or other instrumental data you get. Open a word document and describe what you see in detail. Save that document together with the raw data in a folder. Cross reference with your logbook. This may seem like extra - perhaps even unnecessary work, and perhaps it is. Most of what you write this way will be useless, but when you're reviewing older data it can be helpful to hear what your younger self thought of the results. 2. You aren't in school. You're beginning your career. My mistake: For the first few years I saw grad school as a continuation of my undergrad education. My advice: It’s not. Sure you might have classes with lectures to attend, tests to study for and take, homework, grades, etc. For the first few months to years (depending on your program) it will feel just like your undergrad years. Remember that it is not. This advice is probably best recieved before you start. Don’t start graduate school because it’s the “next step” and don’t assume that a prestigious postdoc, Nature publications, and an R01 are the “next step” after graduate school. You should be the person defining what a successful career means. About 4 months ago I accepted a high paying, rewarding position at a company I’m very excited to work for in a beautiful area. And yet, I still feel like I need to apologize because I’ve left academia. I felt like a failure, like I was accepting a position that was short of my potential. I felt embarrassed to tell people where I was working because it didn’t have “University” in the name. I think those are feelings that come from assuming there was only one path to success and that path had to begin with an R01 and end with a Nobel Prize. It doesn’t. There are many paths to success because success is not so easily (and arbitrarily) defined. 3. Graduate school learning is not like other learning you’ve done. My mistake: Luckily I figured this one out pretty early. Learning is different in graduate school because it’s a very different type of preparation. My advice: In your undergrad you (hopefully) learned how to learn. Graduate school is about learning how to discover. Learning how to discover means learning how to assess the current state of your field of research and learning how to expand that knowledge. Many of the things you’ll need to know won’t be found in textbooks. They may not even be found in the literature. Although science journals do a very good job of documenting human knowledge I have found that many things are only learned by experience. Nobody is going to tell you what you should know and what you should be trying to learn. You can either take advantage of the freedom or let your education stagnate. 4. Network the right way. My mistake: I thought that networking meant using others to get the job I wanted. My advice: Many people network too late or too aggressively. You can’t network correctly if your only goal is getting a job. True networking happens when you’re not desperate. You should begin networking right away, and for the right reason. Network to meet people with similar interests and engage in meaningful discussions with those people. Real networking leads to real connections. If you start networking when you need a job people will see that and will be less interested in forming those real connections. Your network should be large enough that most people in that network aren’t involved in your job search at all; they’re just colleagues and friends. You can’t get that kind of network by treating the people you interact with as your career stepping stones. So, that’s my advice to new graduate students. Maybe you disagree with some of it, and that’s okay. I did too. CJ here again. Thanks to Chad for the great advice. "...however, Canadians and permanent residents will be given priority"
"All qualified candidates are encouraged to apply; however, Canadians and permanent residents will be given priority. If suitable Canadian citizens or permanent residents cannot be found, other individuals will be considered. The University of Alberta hires on the basis of merit. We are committed to the principle of equity in employment. We welcome diversity and encourage applications from all qualified women and men, including persons with disabilities, members of visible minorities, and Aboriginal persons." The reader asks if this is common practice and whether or not this sort of thing happens in industry. First of all, I suspect that this is an interesting quirk of Canadian employment law (or of Albertan provincial hiring law?) I know that some U.S. government positions, especially in the defense/homeland security space, require U.S. citizenship, but I don't know of any professorships at the state level that have these sorts of statements. At the same time, I suspect that these statements are rarely actually enforced and there are likely as many U.S. citizens/residents amongst Canadian academia than not. That said, my knowledge of Canadian chemical academia is quite limited and I invite my many Canadian readers to comment. Reporting to the Sr. Director of Formulation, a Green Chef is part chemist, part engineer, part innovator and part git-r-done. The Green Chef role is to develop and test the best and most sustainable products and then bring them to market. We want to delight our users so they keep coming back for more! method makes home cleaning, personal care and laundry products in San Francisco and we manufacture our products in plants in the mid-west. This position is based at our headquarters in San Francisco’s financial district. As a Director level Green Chef, it is important that you have a chemistry and/or chemical engineering background, formulation experience and demonstrated proficiency in a lab setting. Just as importantly, you should have superior communication and teamwork skills, strong project management and prioritization skills, and exhibit a passion for environmentally sustainable solutions and creative problem solving. I'm amused that people in San Francisco seem to be fans of Larry the Cable Guy. Davis, CA: Marrone Bio Innovations is seeking B.S./M.S./Ph.D. analytical method development chemists with 3-6 years of GXP experience. Dallas, TX: Bestolife Corporation is searching for a M.S./Ph.D. chemist to work as a R&D manager; note the "25% travel" comment. Looks to be petroleum products-related. Ridgefield, CT: Boehringer Ingelheim is looking for "multiple" B.S. biologists/biochemists to work on assays -- been a while since I've seen a BI ad. Ann Arbor, MI: The University of Michigan College of Pharmacy's Department of Medicinal Chemistry is searching for an associate professor to join its department. Durham, NH: The University of New Hampshire is looking for a lecturer in organic chemistry. Orlando, FL: The University of Central Florida is also looking for lecturers for fall 2015. Starting at 57k -- that sounds generous? Okanagan, British Columbia: The University of British Columbia desires an assistant professor of physical chemistry. "Qualified candidates with expertise in the area of biophysical and environmental physical chemistry are particularly encouraged to apply." Laramie, WY: The University of Wyoming is searching for a NMR facility manager. In the Dallas region, residential construction contacts “noted persistent labor shortages.” Indeed, in Houston, “a few builders were placing cameras and armed guards at their construction sites to prevent poaching of workers." Perhaps the city of Houston could station a few game wardens to prevent this sort of poaching. I will review “Red Sky at Morning” in an upcoming issue of C&EN. Here, I want to take up one issue that Speth returns to repeatedly in his book: For our global economy to become a sustainable economy will require a fundamental shift in the economic paradigm that governs human activity today. Specifically, Speth argues, sustainability requires that we abandon the notion of endless economic expansion as the sine qua non of a successful society. I'm no economist, but it seems to me that we've just lived through a period of non-"endless economic expansion" and it wasn't very pleasant at all, especially for most non-wealthy folks. If there is a society (Japan?) that has experienced flat growth for many decades, I assert that they are different enough from America (from top to bottom) that a viable comparison is more-or-less meaningless. Readers, what do you think? Is there a better measurement of "how things are going" than GDP growth? *Seems to me that maybe there are voices in the ACS that could have competed for this space, but hey, I'm talking about the subject, so maybe not. After UCLA chemistry professor Patrick Harran walked out of court in June, his lawyers issued a news release hailing the "first-of-its-kind" deal that all but freed him from criminal liability in a 2008 lab fire that killed a staff researcher. The "deferred prosecution agreement" that allowed Harran to avoid pleading guilty or no-contest to any charge might have been a novel resolution, as his attorneys said. But it certainly didn't come cheap. Top-tier law firms hired to defend him and the University of California against felony charges in the death of Sheharbano "Sheri" Sangji charged more than 7,700 billable hours and nearly $4.5 million in fees, according to documents obtained by The Times through a California Public Records Act request. ...Sangji's sister, Naveen, has called the sanctions against Harran and UCLA "barely a slap on the wrist." She noted that previous safety violations in his lab were not corrected before her sister's death and that UCLA had ignored the "wake-up calls" of earlier accidents in other labs. On Wednesday, she decried the nearly $4.5 million in legal fees — enough to buy 86,000 lab coats. "Had UCLA spent even a tiny fraction of this money and effort on laboratory and chemical safety training and fire resistant gear … Sheri might still be with us today," she said. There's a lot to say about the Sangji case and I've still yet to say it (partially because I'm still formulating my thoughts about it.) It is remarkable to me how enthusiastically UCLA defended Professor Harran from these charges -- it would be fascinating to know if they've ever defended an employee in this manner before. I think the answer is "no". Deborah Blum cogently pointed out on Twitter that it was probably fighting the precedent more than anything else -- I think that's probably the case. Nevertheless, a remarkable amount of money to be spent. Boy, I'm in the wrong business. What a great scaremongering article “The Case against Sugar” is (C&EN, Aug. 4, page 11). Let’s be a touch more logical. So sugar has been bad for generations of people. Nevertheless, removing calories by replacing sugar with artificial sweeteners in soft drinks seems not to have made a difference. Doesn’t that point at the fattening effect coming from another soft-drink ingredient, such as phosphoric acid? Just do two Google searches—“phosphate water holding capacity meat” and “phosphate hog fattening”—for a hint at the effective mechanism. First, the tissues swell a little with every phosphate-containing soft drink consumed, then the body fills the new interstitial spaces with fat cells. An obvious study would be a long-term comparison of weight gain after consuming soft drinks with only phosphate (colas) or only citrate (such as Sprite). The closest I have found is a study of bone density that probably explains why hog fattening benefits from feeding calcium phosphate. I am probably too skeptical about Mr. Gunther's theory, but perhaps he has not had enough space to fully explain it. Nevertheless, always a fun one to see in C&EN. The cover story on crystallography is a marvelous piece of journalism and riveting reading, at least to older generations of chemists. What stands out is the tingling thrill of discovery and the convolutions of thought of what would have happened if there had been slight turns of events and selective available knowledge. More apropos to our times, the various articles show how chemistry was a more freewheeling activity. Imagine the consequences today if an editor wrote to an author—as quoted in the ferrocene article—that “I cannot help feeling that you have been at the hashish again.” This raises the question: Will such splendid documentation exist from the commentaries and anecdotes on current discoveries that are disappearing with one tap of the delete key? It would be wonderful if modern journals archived all their editor's e-mails, but I am sure that there would be too many juicy stories if revealed. Marc Reisch notes that Agilent is getting out of the NMR business; sigh. One of the interesting aspects of getting the American Chemistry Council's morning newsletter is seeing them consistently back Republican senatorial candidates. Not a surprise, but perhaps something I was not fully aware of. Glenn Hess takes note of the trend. Also interesting to see that Mary Landrieu (D - LA) is strongly supported by ACC. I enjoyed this article about the chemical aspects of Thomas Edison's labs by Susan Ainsworth. I presume that this agreement has never been enforced, but it is funny/sad nonetheless. Who says big companies are cold, heartless behemoths, where employees are numbers and every decision is based on the bottom line? The three companies highlighted in this year’s C&EN profile of top companies for chemists are out to dispel this perception. Although large, these companies foster collaboration and the building of communities within the larger corporate community, making every employee feel like a valued member of a team striving for a common goal. The companies recognize that employees are more than just their job titles, giving them the flexibility to fulfill personal as well as professional obligations. I understand what Ms. Cassiday is saying: that companies that provide flexibility to employees to fulfill personal obligations are worth of attention and praise. But! Ultimately, all three of the companies in the article (Genentech, Novo Nordisk, and AstraZeneca) are publicly-traded companies and at the end of the day, the big decisions that affect people (who to hire, who to fire) are all based on the bottom line. It's not a perception -- it's a reality. That is one of the strange paradoxes of the modern economy: the biggest, largest companies are the ones that typically pay the best, offer the most lavish benefits and do well at making people feel like "a team." Yet, they are the ones that are most likely to conduct mass layoffs in order to satisfy their shareholders. Capitalism - it contains multitudes. This position is predominantly technical support and process development for transformer oil, polyols, glycerin, and regulatory issues, and a lesser amount of administrative responsibility, partial building management of the Industrial Specialties Technology Center and the ISTC’s safety program. This position provides exposure to many corporate functions outside of R&D – e.g. operations, analytical, logistics, sales, regulatory, building trades, accounting, SAP. This diversity keeps the job interesting and the opportunity to learn outside the technical field. Needs 5 years of industrial experience, mostly in the process/production area, looks like. ...As a Lead Chemist (Project Leader in Medicinal Chemistry) you will be accountable for driving chemistry strategies in the project team and providing expert scientific input to ongoing and newly established drug discovery programs to deliver high quality candidates to our pipeline. You’re someone who strives to bring medicines to patients. You have significant professional experience (7-10 years) in the pharmaceutical or biotech industry with a proven track record as a Lead Chemist/Project Leader in the area of small molecule research preferably with experience in oncology research. I find it interesting that there's no educational component mentioned -- seems to me that experienced M.S. chemists would probably be just as qualified, but I dunno what Roche's culture with respect to that might be. (ht "a friend." (M.S./Ph.D. chemical engineer, 10+ years in the industry)? If so, contact me and I'll put you in touch with the relevant recruiter. Is the ACS ready for a Cannabis Chemistry division? This is a petition to form a professional division within the membership of the American Chemical Society. The title of division shall be Cannabis Chemists. One might think that this is too specific of a designation for a separate professional division. I would however argue that it is a rapidly expanding profession and that we face many issues specific to the industry. As the medical marijuana and recreational cannabis industry grows it promises to present more and more jobs for chemists in quality control and quality assurance positions. The objectives of this division shall be to provide networking opportunities, mentoring relationships, and updates on technology, industry and public policy. The division will also provide support for individuals new to the field in the form of training and scholarship. Lastly, the division shall provide a platform for cannabis professionals to develop standards and practices in a field where self-regulation is essential for the success of a venture and of the industry. Individuals who would be interested in this division may be in the cannabis industry as analytical chemists, water chemists, food chemists, agro chemists, extraction chemists, formulation chemists, natural products chemists, or pharmaceutical chemists. It is wise and urgent to develop this professional division because there is an emerging industry that is desperate for the support this division can provide. Now more than 25 companies exist for the sole purpose of analyzing cannabis for producers, vendors and consumers. It is essential for the growth of the cannabis analysis industry and the quality of medicines provided, that young professionals be made aware of the legitimate and lucrative opportunities in this field. Censere’s Utley, though, is not surprised. In his 25 years as a financial investigator in China, he has come across all sorts of scams. One company that Utley and his team of forensic accountants was hired to investigate had 12 different sets of accounts that management used to show different groups. One indication of the large scale of fraud is that an open market exists in China for “fapiao,” which are official sales receipts. Contraband fapiao are easy to acquire and can be used to legitimize all sorts of illegal activities, from padding expense accounts to providing cash to bribe government officials, Utley says. Oh, man, that's too funny. Sure hope the "foreign visitor" was not an auditor. Yes, “moving to an exclusively digital format” would preserve natural resources, as Chris Erickson lucidly explained in his letter to the editor (C&EN, July 28, page 4). But I beg ACS to retain the print version of Chemical & Engineering News. It is, frankly, the principal benefit I derive from membership. Receiving C&EN in my otherwise crowded-with-catalogs mailbox is a weekly delight. I can read it anywhere. It gives me real-world examples of innovation that I can share with all my students. Moreover, I share issues with my AP chemistry students, who use them to help satisfy curricular requirement 4 from the College Board. C&EN helps them connect their knowledge of chemistry and science to major societal or technological components better than any other resource. Thanks to you and the ink and trees that you use in a responsible way to communicate important news to us. Perhaps I may offend, I'm pretty sure Mr. Erickson was concern trolling Rudy Baum. But I think Mr. Cunningham is right when he thinks that, for many people, C&EN is one of the major benefits of ACS membership. Fascinating story by Britt Erickson on farmers suing Syngenta for getting GMO crop protein in their non-GMO crops. Apparently, China has not approved this particular protein for sale and if your crops are contaminated with it, too bad! Thoroughly enjoyed this story by Jean-François Tremblay on short-sellers having a field day in China taking down stocks of companies that are most likely fraudulent. A profile of "Companies Who Care" by Laura Cassiday. I've never worked at a company that had on-site day care -- bet that's nice. I liked this Boston Globe story on life science postdocs. Nothing hugely groundbreaking for those in the know, but it's good that people are continuing to cover the issue and that professors like Greg Petsko are getting attention. On the other hand, I found this response to concerns about the glut of life science Ph.D.s to be insufficient, but of course, I would. Via "JJ", I see the Denver school teacher that burned some students doing a demonstration with methanol was fired. Albemarle must be seeing something in the API space that I am not, considering they're expanding their South Haven facility. Is there a lovelier place to have a full-scale chemical manufacturing site than South Haven, Michigan? San Diego, I guess. Incidentally, no one that I am aware of has been talking about how there's an executive search going on for the actual top spot at ACS, i.e. Madeleine Jacobs' current position as executive director and CEO. Who do we think has more emphasis on the Society, the person who runs the ship day-to-day, or the seemingly ceremonial ACS president, who gets elected for a 1 year term? Here's the ad. I'm amused to learn that you only need a B.S. degree in chemistry/the chemical sciences to be considered. Understanding the Business: Knows the business and the mission-critical technical and functional skills needed to do the job; understands various types of business propositions and understands how businesses operate in general; learns new methods and technologies easily. Making Complex Decisions: Can solve even the toughest and most complex of problems; great at gleaning meaning from whatever data are available; is a quick study of the new and different; adds personal wisdom and experience to come to the best conclusion and solution, given the situation; uses multiple problem-solving tools and techniques. Getting Work Done Through Others: Manages people well; gets the most and best out of the people he/she has; sets and communicates guiding goals; measures accomplishments, holds people accountable, and gives useful feedback; delegates and develops; keeps people informed; provides coaching for today and for the future. Dealing with Trouble: Fearlessly takes on all issues, challenges, and people; comfortably confronts and works through conflict; delivers negative feedback and messages without hesitation; deals promptly and fairly with problem performers; lets everyone know where they stand; thrives in crises and is energized by tough challenges; not afraid to make negative decisions and take tough action; challenges the status quo. Communicating Effectively: Writes and presents effectively; adjusts to fit the audience and the message; strongly gets a message across. Inspiring Others: Is skilled at getting individuals, teams, and an entire organization to perform at a higher level and to embrace change; negotiates skillfully to achieve a fair outcome or promote a common cause; communicates a compelling vision and is committed to what needs to be done; inspires others; builds motivated, high-performing teams; understands what motivates different people. Acting with Honor and Character: Is a person of high character; is consistent and acts in line with a clear and visible set of values and beliefs; deals and talks straight; walks his/her talk; is direct and truthful but at the same time can keep confidences. Address the obvious imbalance between the Publications and membership portion of the society. Address the seeming gap between service to the academic side of chemistry (i.e. publications and conferences) and service to the industrial side (???). Prepare Society rank-and-file membership for the next (?) economic downturn. Prioritize addressing long-term unemployment amongst Society members. Supply outlandish funding to the various membership offices so that we can have a broader and more accurate measurement of the health of the chemistry job market. But hey, that's just me. Readers, what do you think? The relevant portion of the 3 ACS presidential candidates, presented in order that they were published in the September 8 edition of C&EN. A difficult time for chemistry. At the Dallas ACS meeting, it was reported that 16% of young chemists remain unemployed six months after graduation. In industry, many chemists have experienced employment problems for years. ACS can’t directly create new jobs to solve these problems, but we ACS members can deduce and address factors that destabilize STEM employment. The balance between STEM jobs and job candidates is out of equilibrium for multiple reasons. First, in the Sputnik years of the 1960s, there were too few chemists. We met the challenge but later ignored the fact that mergers and outsourcing decreased jobs. Second, the media influenced public opinion against STEM, causing a decrease in STEM funding and ultimately its available jobs. Third, chemistry is increasingly a global community and enjoys drawing the best and brightest from across the world. The impact of all of these must be addressed now. Appreciation produces jobs. Chemists’ creativity gave the world vital benefits and luxuries, and producing future benefits and luxuries is dependent upon our continued creativity. But this is possible only if science is appreciated and funded sufficiently to employ them. Most chemistry jobs are and will continue to be in industry, which needs public appreciation and support to thrive. This support will foster balanced regulations, greater funding for research, and more jobs for chemists. Increasing employment for chemists will enhance education, the work environment, meetings, publications, and research—improving employment in academe, government, and elsewhere. But the general public is not familiar enough with chemistry to appreciate and support chemists as they deserve to be so that chemistry will thrive. I will find opportunities for this to improve. Readers, if you have questions that you'd like me to ask, I would be willing to contact the candidates like I did last year.